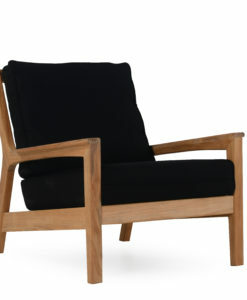 The Delmer Sofa and Club Chair are deliberately designed to have a lower seating position and backrest. 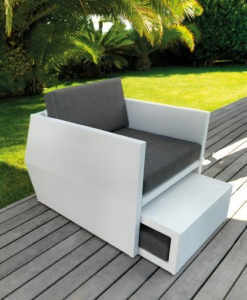 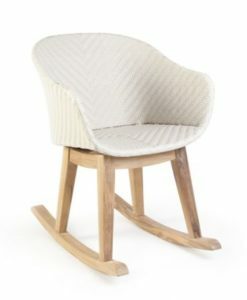 The low backrest allows users to have an uninterrupted view of the outside from inside the house. 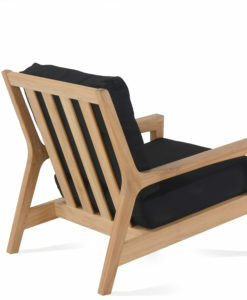 If you have a great view and a low modern sofa inside the house, you would want the Delmer. 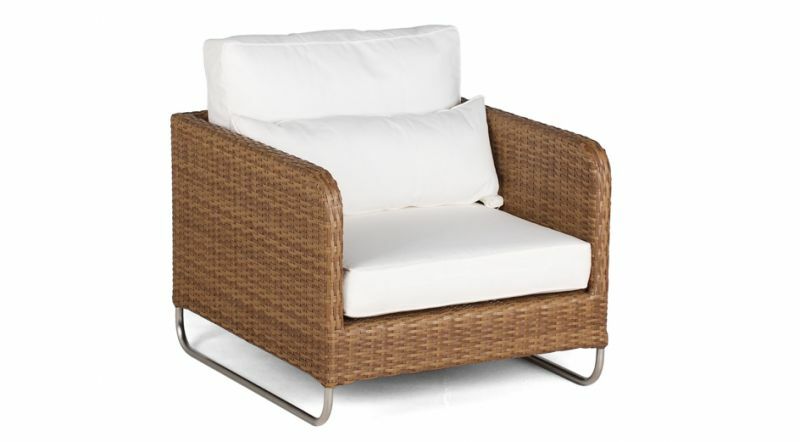 The Delmer setting is available in two different weaving patterns and seven different cushion colors. 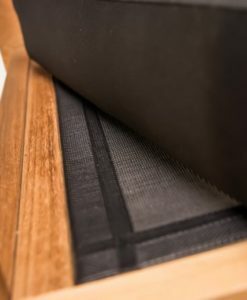 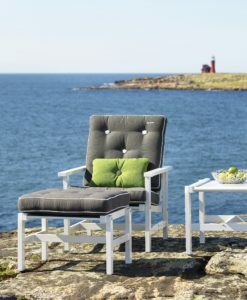 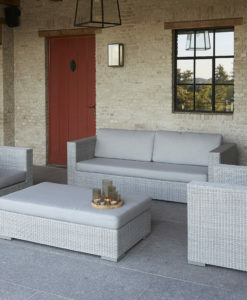 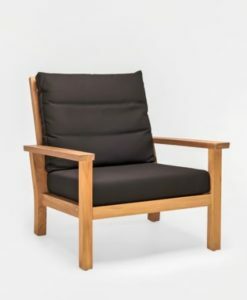 The cushions are made from QuickDry foam which is mold free and generally dries within 30 minutes, and are moreover covered with all-weather fabrics, allowing them to withstand the outdoors. 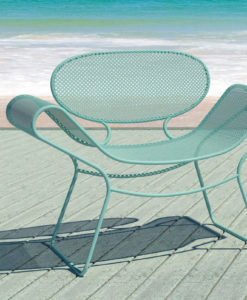 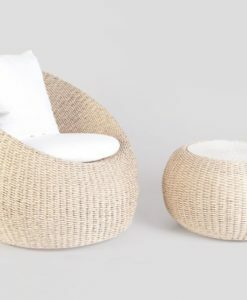 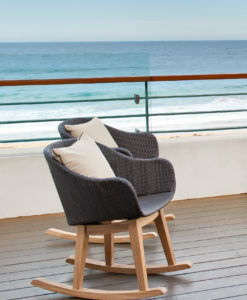 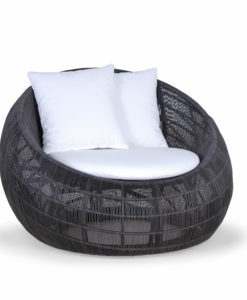 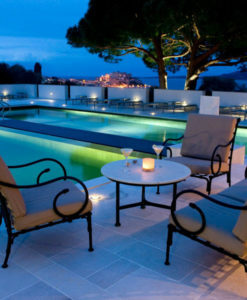 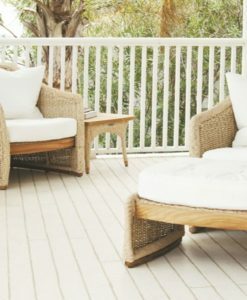 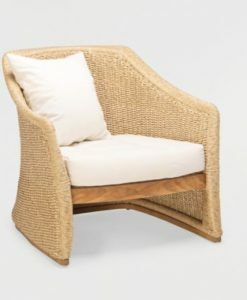 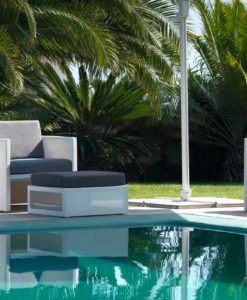 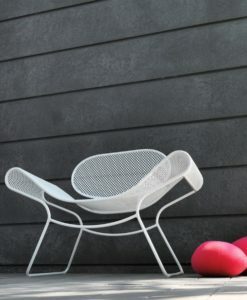 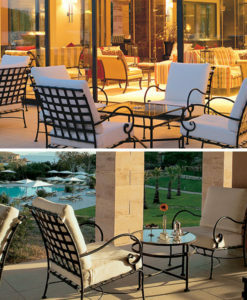 This collection is ideal for Hotel terraces and pool lounging.